18 Ga drop-in basin Premium 18 gauge stainless steel top mount vanity basin. 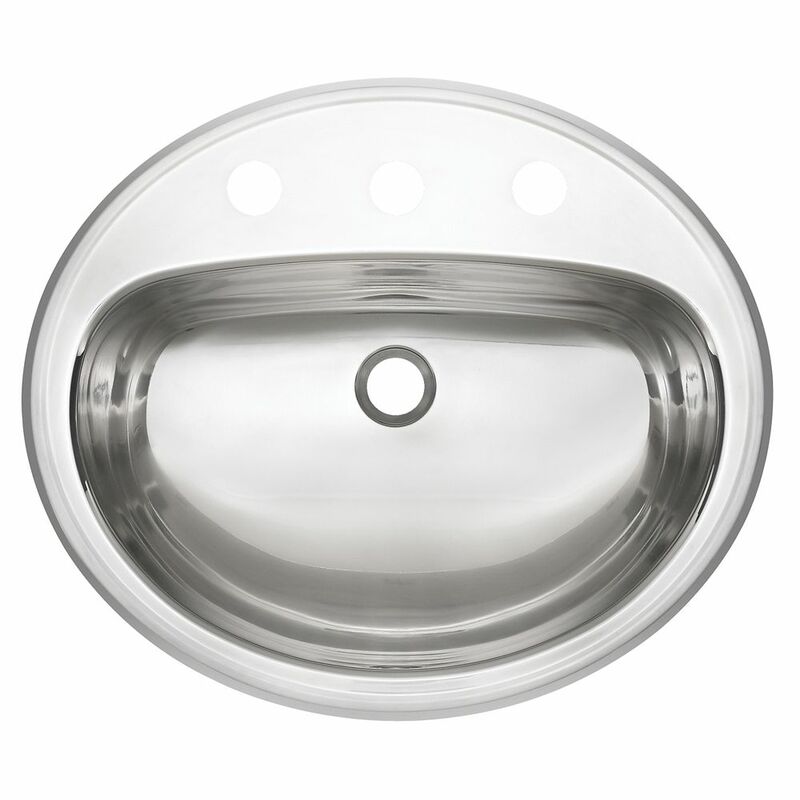 Sink features large oval shape, rear drain for more storage below, front overflow, rear faucet ledge with 3 hole drilling with 4" centres, silk deck and bowl for bright and shiny good looks without sacrificing on ease of cleaning, and 1.25" waste hole. Waste fitting is not included.